Who Was the Great Bambino? What other nicknames did “Babe" Ruth have? How did he get the nickname “Babe" Ruth? If you follow professional baseball, you've probably noticed that the best hitters and the best pitchers are usually not the same players. Pitchers tend to focus on pitching and usually don't lead the league in hits or home runs. The best hitters are usually field players that play any position except pitcher. Would you believe that one of baseball's all-time greats was both a fantastic pitcher and a world-class hitter? It's true! Who are we talking about? “Babe" Ruth, of course! George Herman “Babe" Ruth, Jr., was born on February 6, 1895. His famous baseball career lasted from 1914-1935. He got his start in the big leagues as a southpaw pitcher with the Boston Red Sox. In 1919, though, he was traded to the New York Yankees, where he switched to right field and soon became one of the best hitters the league has ever seen. While with the Yankees, “Babe" won seven pennants (American League Championships) and four World Series. His outstanding play earned him many different nicknames. In addition to “Babe" Ruth (more on that name in a bit), you'll also hear him referred to as “the Great Bambino," “the Sultan of Swat," and “the Colossus of Clout." A year after his retirement in 1935, “Babe" Ruth became one of the first five players elected to the Baseball Hall of Fame. Over time, his accomplishments have only become more legendary. Today, he's seen as one of the greatest sports heroes of all time — in any sport. His effect on baseball was tremendous. The popularity of baseball exploded in the 1920s, due in large part to “Babe" Ruth's play and outgoing personality. Many baseball experts consider him to be the greatest baseball player ever. He set famous records for home runs that stood for many years. For example, his single-season record of 60 home runs (in 1927) stood until it was broken by Roger Maris in 1961. His record for most home runs in a career (714) stood until it was broken in 1974 by Hank Aaron. So how did George Herman Ruth become “Babe" Ruth? There are several theories about how the nickname came about, but the most likely story involves a famous baseball recruiter named Jack Dunn. Because “Babe" Ruth got started in baseball when he was only 19, another player was thought to have said, “Here's one of Dunnie's babes," when Ruth showed up for spring training. You won’t want to miss tomorrow’s explosive Wonder of the Day. It’s going to be quite a spectacle! The Sultan of Swat. The Great Bambino. The Colossus of Clout. "Babe" Ruth sure had a lot of nicknames, didn't he? Fans often give popular athletes special nicknames to recognize their accomplishments. As one of baseball's all-time greats, "Babe" Ruth certainly earned his multiple nicknames. But what about you? Do you have any nicknames? Whether you currently have a nickname or not, think about what you want to be when you grow up. What kinds of great things do you want to do? If you accomplish your goals, what nickname do you think you would deserve? What nickname would you like to have some day? Do you collect baseball cards or know someone who does? Certain old cards, especially from famous players, can be very valuable. If you had some old "Babe" Ruth cards, you'd have some very valuable cards indeed. How valuable? Find out when you read more about the Top 10 Babe Ruth Cards of All-Time. We agree, White Sox fan! WHat about my called shot? Is this really Babe Ruth visiting Wonderopolis?? 😱 Welcome!! Wow, what a cool connection, Yankees fan! Thanks for sharing with us! That's awesome, Derek! Is Babe Ruth one of your favorite players? I am a huge yankees fan, so Babe ruth is one of my favorite players! my great aunt is best friends with babe ruths grand daughter and i wrot a letter to her and she sent me a bunch a ruth stuff! No way! That's a really cool connection to have! So if babe ruth was so good at baseball im guessing one of his family members must of taught him for quite a while. He really was a lot heck of good! i dont mean to act like a know-it-all. but ruth went to a school for boys and one of his mentors tought him the game! its really cool how some thing bad can make some thing really good! That's a great thought, Jeff! We wonder who might have been the one to introduce him to baseball and practice with him. Great question! Hello, Sam. How did you like this Wonder? I think Babe Ruth is the best baseball player ever! Was the Great Bambino a nickname for him befor the movie? I know who he is tell me something I don't know. I mean 714. 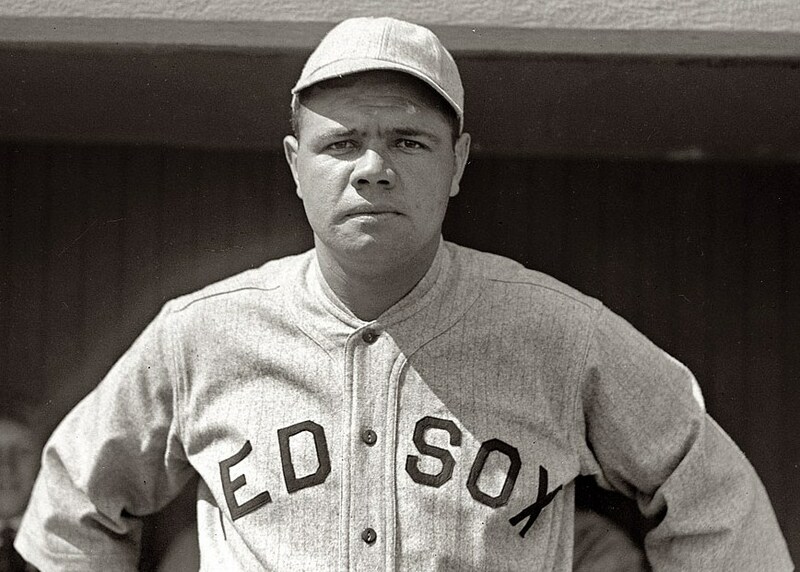 Did you know that Babe's real name was George Herman Ruth, Jr.? I so wish I met Babe Ruth. In a movie I saw, I acted like I was in it with Babe. It showed when he made history by being the 4th to hit 400 balls in his whole career. Hi Wonderopolis! I love this this wonder because I love baseball. I knew that Babe Ruth had many nicknames. "The Saltan of Swat" and "Colossus of Clout" are two that I had not heard of before. I also have a question; what does Bambino mean? Thank you for making me wonder!! I watched this video clip with my friends at school. We really liked it. "OH MY GOSH, IT'S THE SAME PERSON?!?!?!" Loved it. I love the sandlot!!!!! The Great Bambino is my hero. I love sports. It's my life, basically. I lovvvvvvvvveeeeeeddd that video and I watched this at home, not at school. Cool video. We love the wonder today. Very educational. I wonder what is going to be tomorrow's wonder? I wonder if he is better then me at hockey? We think it would have been awesome to see Babe Ruth compete in multiple sports like some modern-day athletes do, Devin! Thanks for stopping by Wonderopolis today! I WONDER what tomorrow's wonder will be? It's gonna be fun because I like wonderopolis!!!!!!! Today's wonder was funny!!! :) I like wondering and I wonder all the time!! I sit on a wheelchair!!! Huh??? What does that mean? What does that wonder mean? Mrs. Barthelmes' 4th graders say, "You're killin' us, Smalls!" We love the movie Sandlot. Thanks for using it, now we want to go watch the movie! I think that today's wonder of the day wasn't so interesting, but it was a good one for baseball lovers. I like soccer a lot more than baseball. I also like basketball. Wonderopolis is the best website ever, you know. Louisville slugger factory is an amazing venture for anyone. Holding the bats of Babe Ruth and other famous players was exciting, but seeing the bats made and each individual player's design is interesting. They also have a batting cage to try out player's bats. Awesome trip with many wonders for the whole family. Interesting. I'm more of a soccer person than a baseball person though. I know exactly where that picture is taken and I know exactly what it feels like to hold that bat and I know exactly what I need to do --write a blog post about our amazing WONDER adventure to Louisville Slugger. Thanks for the push!!! “Babe” Ruth’s real first name was what? Which arm did “Babe” Ruth pitch with? 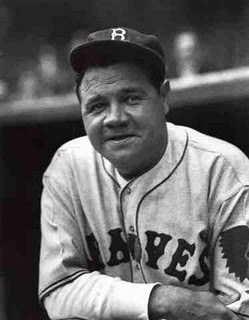 Which of the following is NOT one of “Babe” Ruth’s nicknames? bSultan of Swat Not Quite! cColossus of Clout Not Quite!